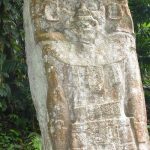 Guatemala is known as the land of volcanoes – there are almost 30 of them – and top of the list of things to do for many visitors is a trek up at least one of them. Currently the most popular volcano for trekking is Mt Pacaya, located about 1 ½ hour’s drive from Guatemala’s main tourist destination, the beautiful colonial town of Antigua. Mt Pacaya stands at just over 2,500 metres high (Mt Tajumulco is the highest volcano in Guatemala at over 4,200 metres) and is a relatively straightforward trek for anyone with a modicum of fitness. Although the altitude is noticeable at that height it isn’t a major concern. 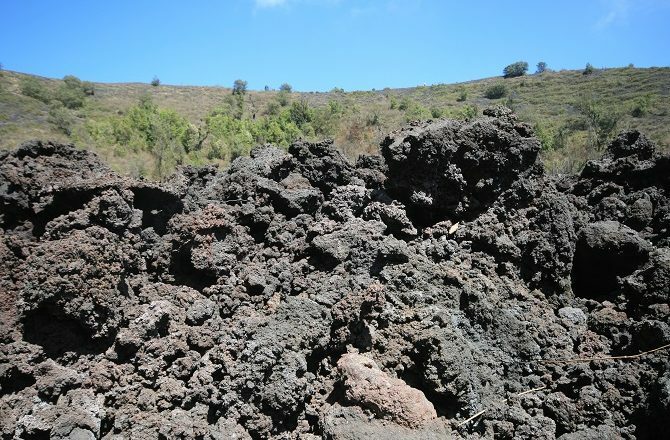 Indeed the climb itself is relatively short as visitors are driven most of the way up the mountain and it is impossible to ascend to the crater itself; Mt Pacaya last erupted in 2013 so, to be safe, treks only go to the ridge some way below the crater. 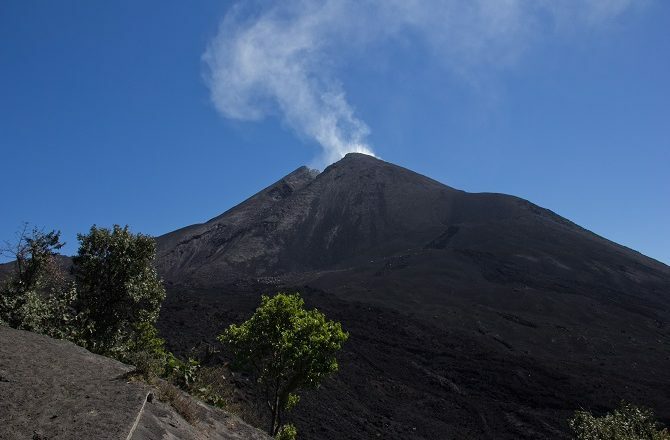 The vast majority of foreign visitors who trek up Mt Pacaya will be staying in Antigua. From there, numerous companies offer daily packages to Pacaya, either on a group or private basis, and which will include return transport and the services of a (compulsory) local guide. Group tours tend to leave Antigua bright and early, normally around 06:30; the benefit of arranging a private trip is that you decide what time you want to set off. It’s worth noting also that weekends tend to be much busier as Mt Pacaya is popular with locals as well as tourists. Depending on your level of fitness, the trek up Mt Pacaya should take anything from 60 to 90 minutes. If you want to ‘do Mt Pacaya’ but don’t want to walk the whole way yourself, there is also the option of hiring a pony and being carried up the mountain. To trek Mt Pacaya you will need decent shoes (which will be covered in ash by the end), a jacket (it can get cold at the top) and, probably, trousers rather than shorts. It is also important to take water with you and stay hydrated. There is a shop at the start of the official climb which sells drinks and snacks. The first part of the ascent is up a concrete path and is probably the steepest part of the whole ascent; thereafter it levels out slightly and, for most of the way up, the path is through beautiful forest and most guides can advise on the local flora and fauna. It isn’t until you get close to the final ridge that you finally clear the forest cover and finally catch a glimpse of the top of Mt Pacaya. From the ridge, the views are universally superb. On the one hand you have the final tip of Mt Pacaya leading up to the crater and, below that, the dark, volcanic remnants of the last eruption in 2013. 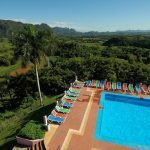 Turn the other way and there are panoramic views towards the 3 volcanoes that overlook Antigua – Agua, Acatenango and Fuego. 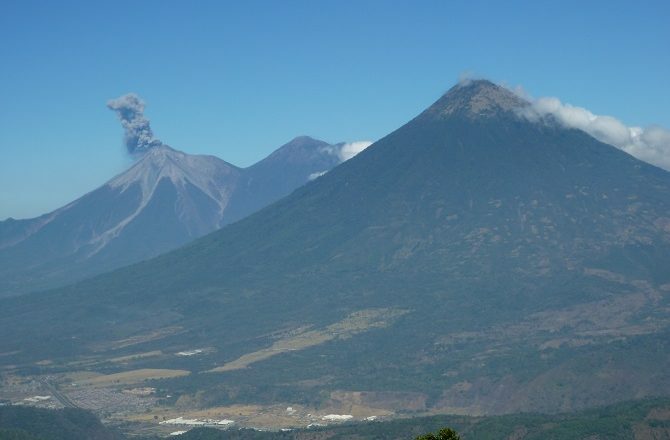 On our last visit, Mt Fuego was very much active and spewing ash clouds into the blue sky above. 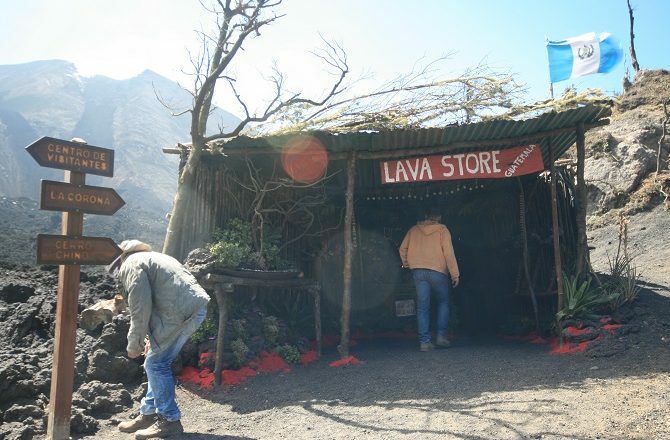 One final novelty about Mt Pacaya is that, just below the ridge, at pretty much the spot where the last lava flow came to a stop, is the world’s first and only volcano shop; really just a little shack from which you can buy jewellery made from the volcanic rock. The current site of the shop masks the fact that its predecessor was 100 metres further up the mountain and consumed by the 2013 eruption!